I've had this AWESOME watch for over a month now and it has become my go to accessories when I am not covered in sawdust! I had been wanting to get a watch for a while now, but it wasn't in the budget. So when JORD gifted me this watch I think I jumped up and down!!! Talk about lucky. And then when I found out it was a wood watch and not only a wood watch, but a Zebrawood watch. WOW!!! I have been wearing the Frankie Zebrawood and Navy . It is such a unique watch and it totally suits me and my style. Matches everything I wear. I mean it goes great with jeans and a t-shirt or a LBD or a flannel!!! I have received a ton of compliments in the short time I have had it!!! It definitely makes a statement and is a conversation starter. Which in my business is good, I get to start talking about what I love..... woodworking! And when people find out I do woodworking, they always have a millions questions that I love to answer. Pays to do something that you love. Not only is the watch top quality, it's packing is on point! It comes in a wood box with its own little pillow. The box has a drawer on the bottom where you can hide your rings or your money stash. The packaging makes the experience of getting a new watch even better. So, now that you have seen how AWESOME my new watch is I know you want one. JORD offers a wide variety of women's and men's watches that make it easy to find the perfect one. And when you choose your unique watch, you can customize it with personalized engraving and sizing. Or customize it for that special someone! 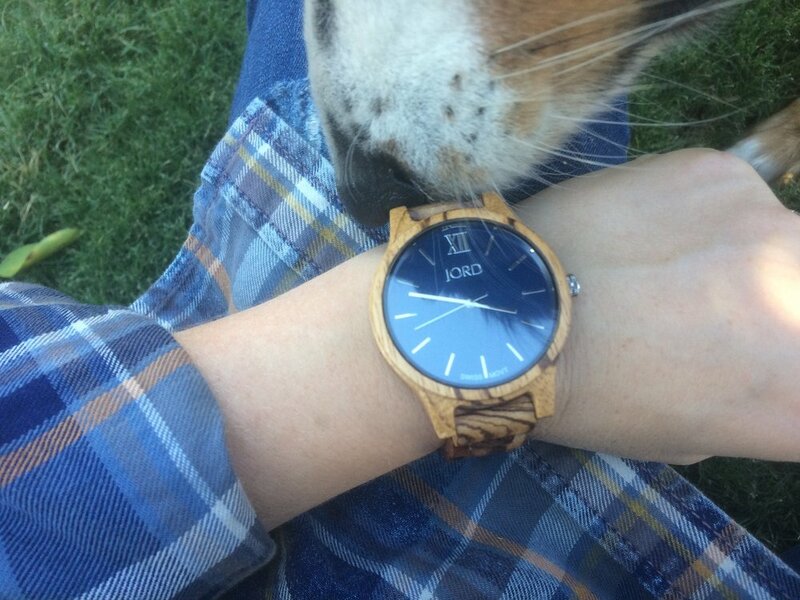 Here's the best part, I've teamed up with JORD for a contest where you can win $100 gift code toward any of their AWESOME wood watches. And just for participating in the contest you will receive a $25 gift code. So, everybody's a WINNER! Click here to enter the contest!!! The contest will close on the 28th of February 2017!!! So enter now! Both gift codes will expire the 30th of April 2017.